iRetroPhone allows you to add a little old school retro feel to your modern state-of-the-art smartphone. 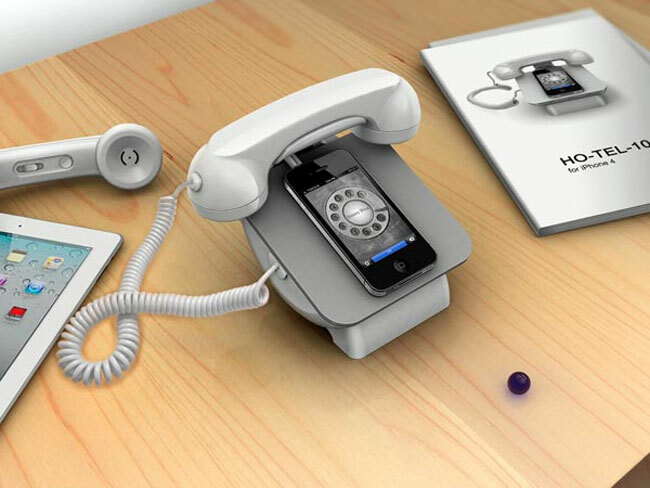 Enabling you to sync and make calls when its docked within the iRetroPhone using a 70’s handset to speak into. iRetroPhone is compatible with 1500 devices, says its creatures and the device is capable of charging 3 devices simultaneously. Using a Auto-Select function enabling the iRetroPhone to automatically choose between Sync & Charge mode without any user intervention.If you own an iPhone the iRetroPhone can be combined with a free iRetroPhone rotary dialler app. Which is also compatible with Apple’s iPad and iPod Touch devices. iRetroPhone is now available to purchase for around $99 and is available in black, white and purple, and compatible with Apple, Android, Blackberry Phones.